Whilst working on the dash, I noticed that there was a slight bit of play in the steering column. On further investigation, i found it was the universal joint between the column and the steering box. 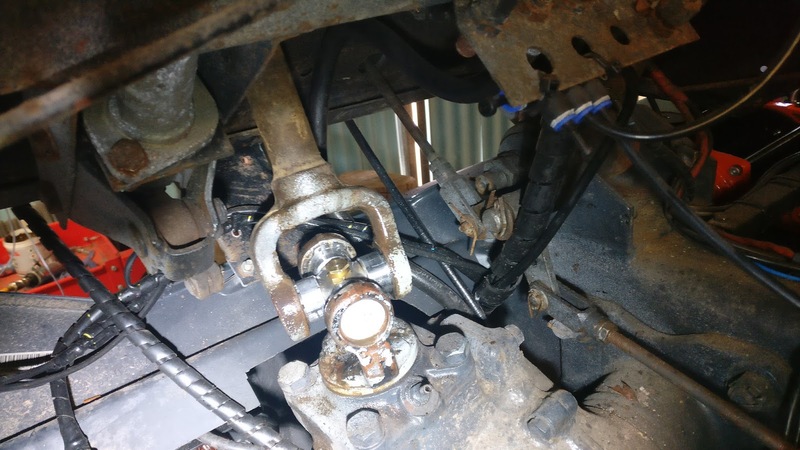 unfortunately, someone in the past had welded one of the journals in, it was a bit awkward to get it out without damaging the steering box, but once out It was a simple and cheap job to replace the UJ with a new one.